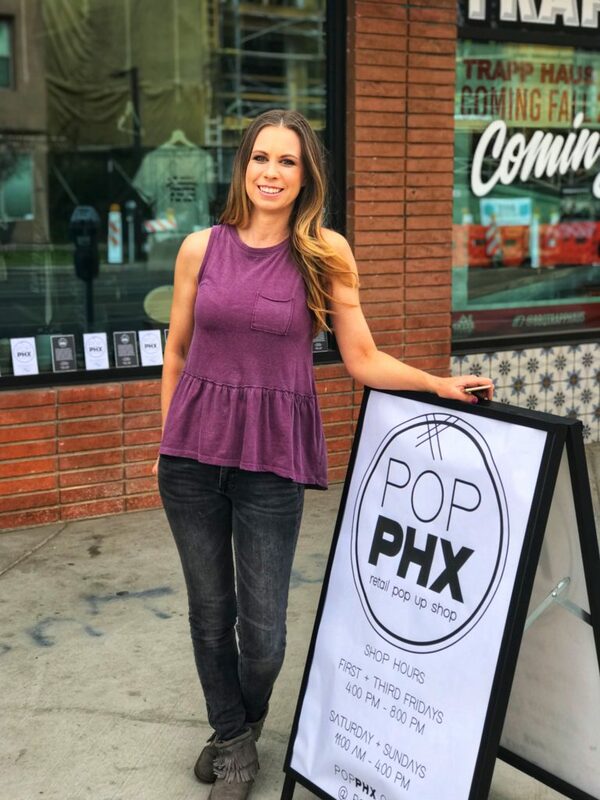 Phoenix entrepreneur Ashley Bourget opened POP PHX at The Blocks of Roosevelt Row with the goal of supporting small business. Her dedicated pop-up boutique sells home decor, jewelry, apparel and specialty gifts you won’t find in big box stores. With 6 vendor stations and a unique business plan, she’s quickly redefining the rules for retail start-ups. How would you describe the concept of POP PHX? 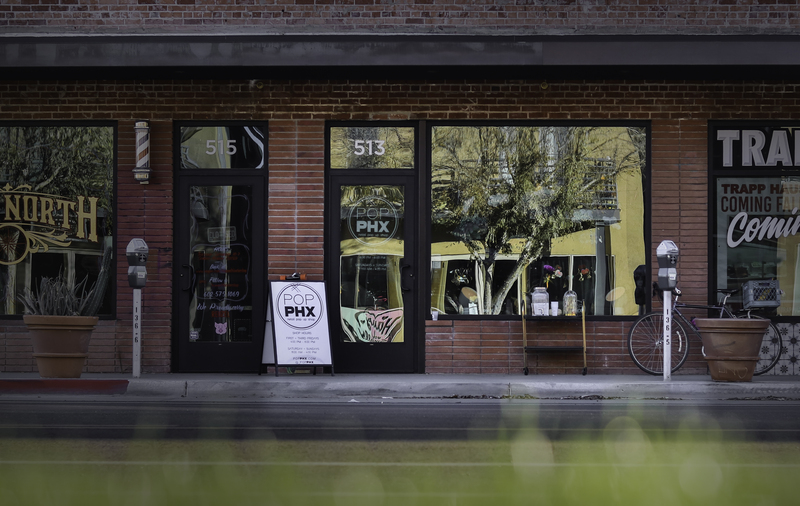 POP PHX is a collaborative pop-up shop with a mission to support independent retail entrepreneurs by providing a venue where they can gain exposure and a new customer base. 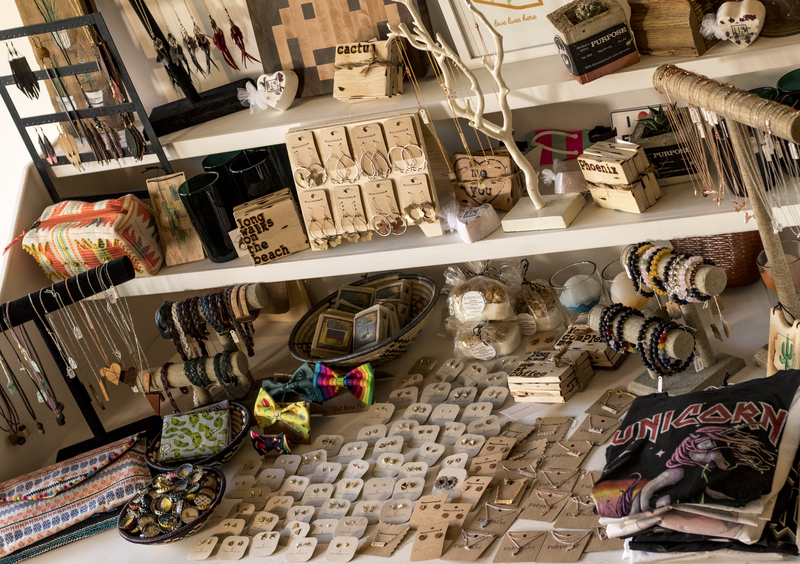 Our shop acts as an incubator, allowing merchants to develop and scale their brand. As a community of small business owners, we work collectively to cultivate a shopping experience that is interesting and unique in a space that inspires. Can you tell readers a little more about how it all works? Sure. We select a limited number of merchants to co-host POP PHX on the weekends. The shop is built-out with everything a vendor needs to display their products. No need to bring folding tables or tents, we’ve got it all ready for them. They simply bring in their wares, stylize their display and get ready to sell. Each weekend market is curated to provide an eclectic, contrasting, yet cohesive and complementary blend of merchandise. And while we always welcome our vendors back, we strive to make each weekend experience different from the last one. On First and Third Fridays, we bring in a mix of t-shirt vendors to sell their tees and hats. Where did you get the inspiration for POP PHX? Working in the retail development industry, I have a deep understanding of how the business is evolving. Consumers are looking for a shopping experience and also have a desire to support the local economy. I was inspired by all the vendors who work so hard to create and sell their products. I’ve met them at farmer’s markets and shows, and I came up with the idea to create a permanent spot for vendors to pop in and out of. What makes POP PHX different, both from a vendor’s perspective and a shopper’s perspective? From a vendor perspective, we have uniquely individualized stations that they can choose from to fit their brand. Vendors no longer need to lug in a folding table or tent, we have it all set up and ready to go. We also have a variety of vendor options to choose from – weekend vendors, First Friday t-shirt vendors, opportunities to host their own pop-up event. Vendors are able to come as often as they like without any long-term space commitments. They can grow their brand and customer following, and know what their overhead space costs will be – all with flat-fee pricing. I don’t take a percentage of their sales. For shoppers, our model offers variety. The space will be different every time you visit. We hope to make it an experience that lures shoppers back frequently. We showcase local retail entrepreneurs. Not only handmade or local, but small retail business owners who are looking to grow. 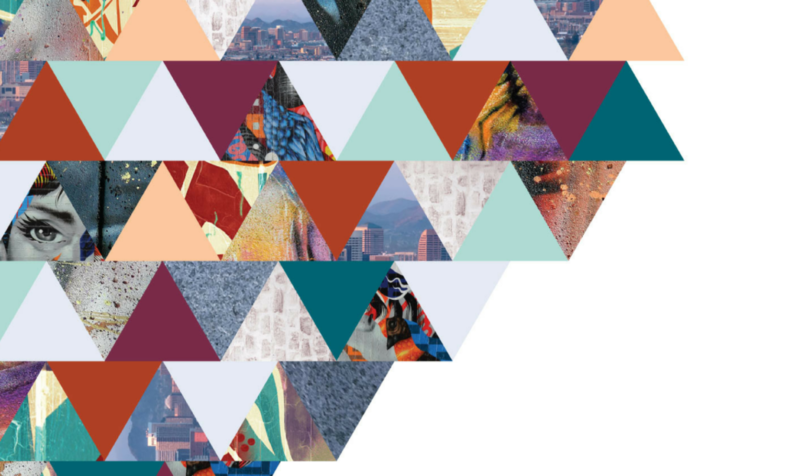 Given your location in the Roosevelt Row Arts District, are you planning to incorporate any art-focused touches into POP PHX, either in its design or lineup of vendors? Artists have always been such an important part of Roosevelt Row – they are the reason why this street has created such a following. I plan on getting involved with Artlink. I would love to incorporate art into the space and my window display. This is something I will do once we get settled into the space. If you’re a retail entrepreneur interested in selling your goods at POP PHX, fill out a vendor application form or email Ashley at vendors@popphx.com. Stay up-to-date on all of POP PHX’s events via their website, or follow them on Instagram and Facebook.